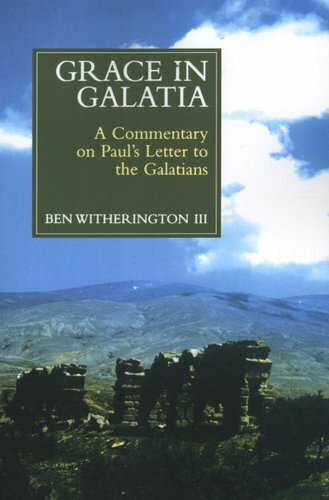 Grace in Galatia is an innovative socio-rhetorical study of Paul's most polemical letter. 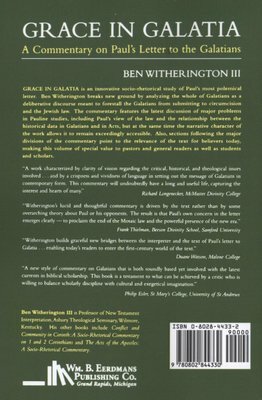 Ben Witherington breaks new ground by analyzing the whole of Galatians as a deliberative discourse meant to forestall the Galatians from submitting to circumcision and the Jewish law. The commentary features the latest discussion of major problems in Pauline studies, including Paul's view of the law and the relationship between the historical data in Galatians and in Acts. Yet the narrative character of Witherington's work allows it to remain exceedingly accessible. The volume also includes sections following the major divisions of the commentary that point to the relevance of the text for believers today, making Grace in Galatia of special value to pastors and general readers as well as students and scholars.